The Get in Summer Shape package includes Slim and Sassy DoTerra essential oil, which aims to boost metabolism; one yoga, Pilates, or barre class; and a one-hour essential-oil class. Click here to view studio etiquette guidelines for new students. Reduce stress and improve flexibility with yoga poses and breathing, or tone your core with Pilates sessions. 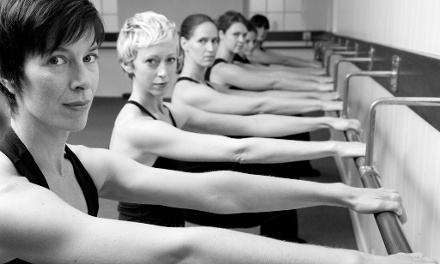 During the barre classes, instructors use one-on-one attention and classical ballet-barre methods to strengthen and lengthen the body, all to the beat of high-energy music. Every class is limited to about 15 people, which is just enough to build a post-session human pyramid. Registration required. Limit 1 per person, may buy 1 additional as gift. Limit 1 per visit. May redeem across visits. Valid only for option purchased. All goods or services must be used by the same person.